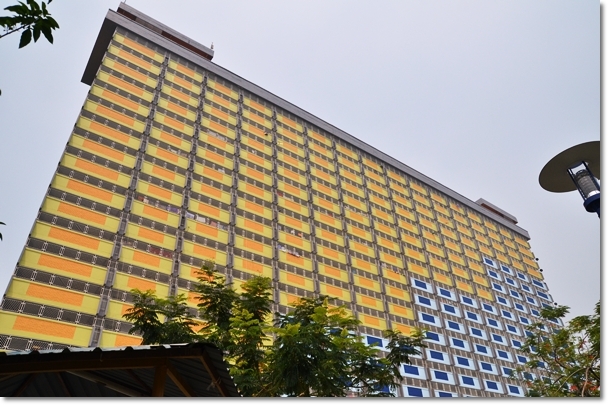 The iconic landmark of Ipoh old town; the 20-storey flats now painted in an outrageous fashion. Anyone knows what the orange and blue symbolize? Every once in a while, I will take my own sweet time exploring and rediscovering the charm of Ipoh. 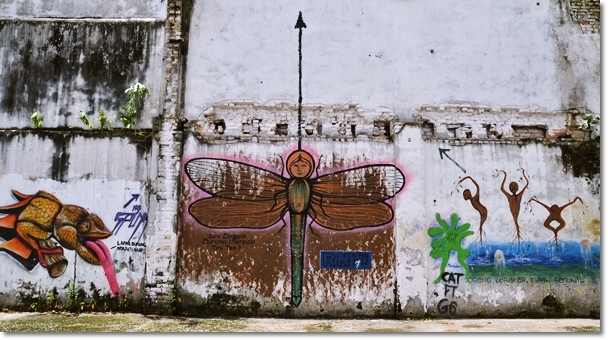 More often than not, the mission will inevitably takes me to the alluring senses of Ipoh old town; a tantalizing combustion of sights, sounds and flavours to reinvigorate the flagging soul. Should there ever be a spot for first-timer to experience the very essence of the city built from tin mine, one can’t go wrong with this older part of Ipoh town. 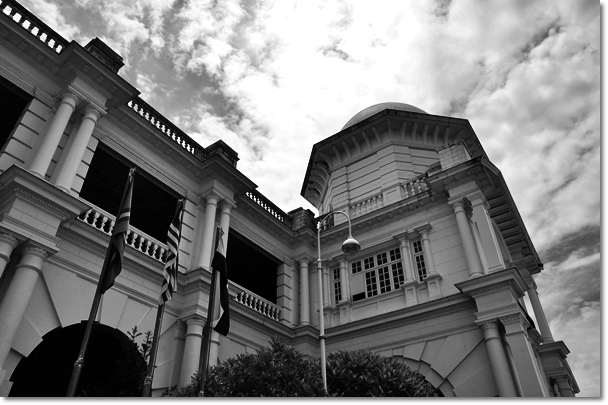 Still heavily reliant on the thriving food and beverage business (refer to my old town posts in case you’re hungry and have no time for small chats), banking industry and law firms, the stretches of colonial buildings speak volume of their rich history and the story beyond the facade. 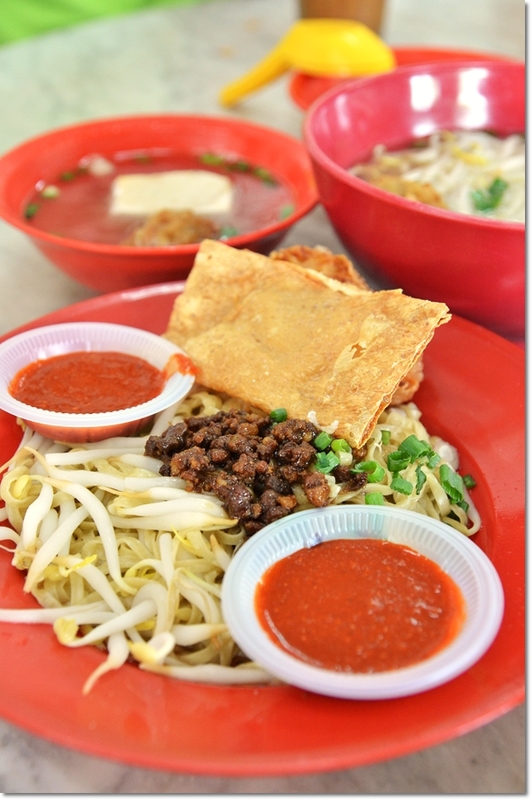 Hakka mee from Nam Heong – Somewhat overkill from the Hakka mee adventures as of late, but still very doable since you can’t deny the lure of crunchy Ipoh bean sprouts and savoury minced meat! The fact that I used to work for a good 3 years in old town clears the air up on why the affection towards this inherently more classic part of town. 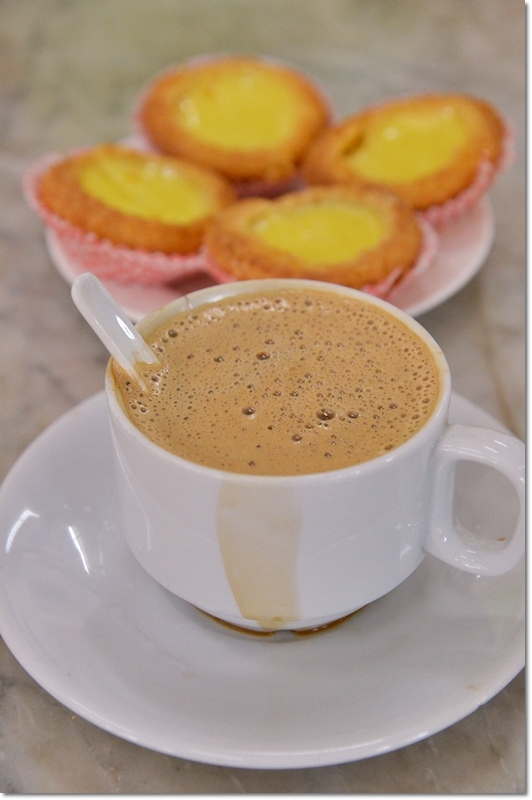 The daily perk-me-up cup of white coffee from Nam Chau or Sin Lean Lee. 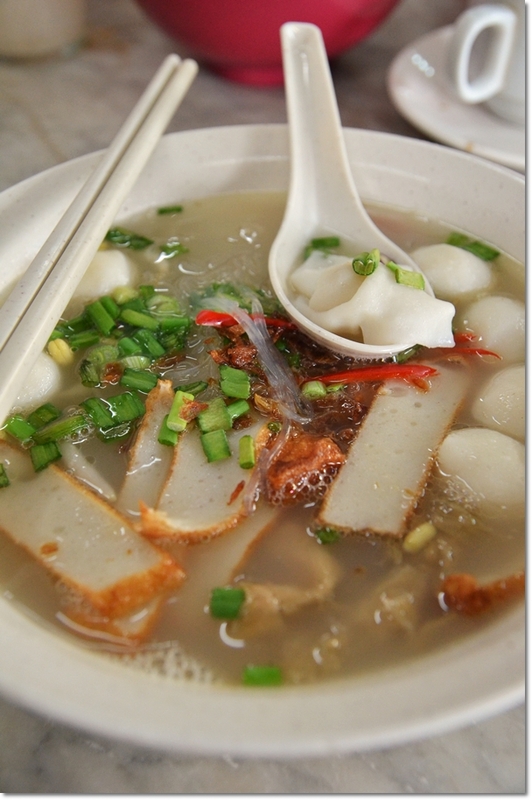 The ultimate best Ipoh chicken kuey teow soup and caramel custard from Thean Chun (very subjective taste, but one that does not go wrong after repeated bouts of ‘kai see hor fun’ elsewhere), the fantastic ‘chu char’ fares from Wong Koh Kee and a Hor Hee stall that you can’t miss at Li Heng Fatt. Heck, I even wrote an article on Yahoo! Malaysia centering upon old town white coffee outlets! Hor Hee from a stall at Nam Heong; not bad but still a far cry from the champions. I can go on and on throwing recommendations and drafting itineraries for a day trip’s worth of food journey in old town, but I guess the delightful sense of adventure always lies in the discovery portion, and the planning segment. Still in the midst of budgeting season for 2014 (2 more weeks … and I will be free as a bird! ahem, here’s to wishful thinking? ), I’ll relent and let the following montage of photographs speak for what they’re worth. SOLEX – Unlocking the legacy within? Striking red painted brick walls near to Mubaruk Book Store. 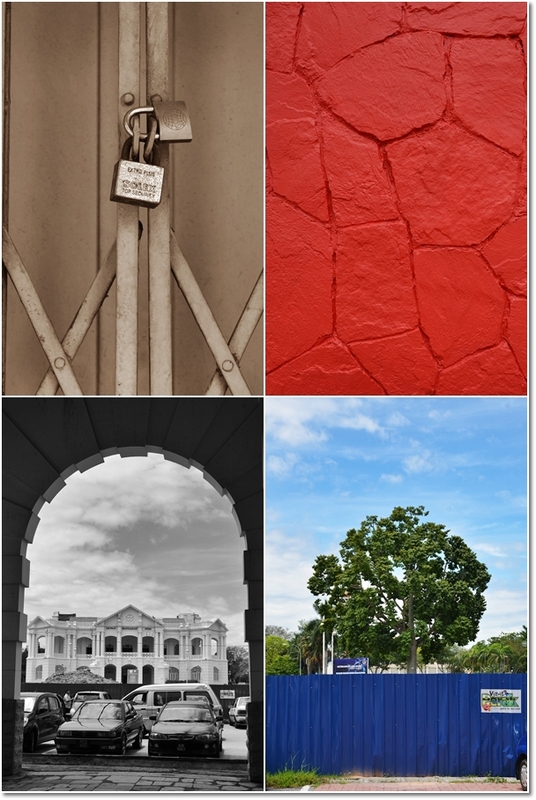 The IPOH tree in front of the railway station was fenced up when I took this last year. 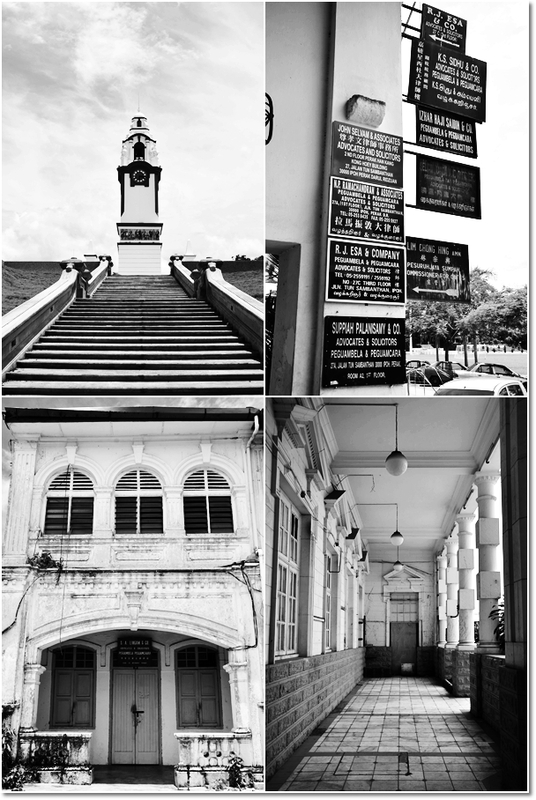 The famous clock tower in old town, law firms jostling for potential customers, the desolated corridor at Ipoh railway station and the eerie facade of a law firm fronting Ipoh padang. 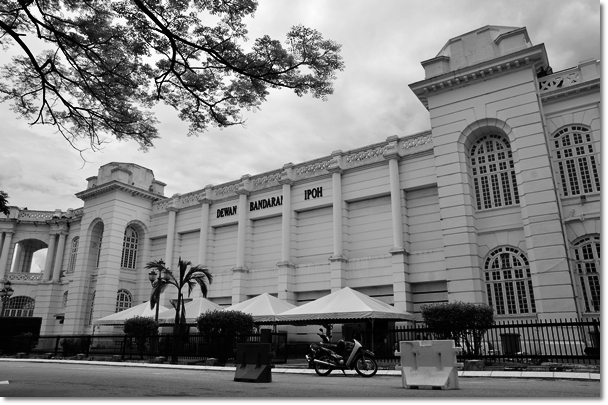 The majestic landmark that most tourists won’t miss; the Ipoh railway station. All walking trips should start from here, or at least end here for a relentless photography session! The plan to hit home this weekend was foiled for several reasons. But I’ll just delay that plan to another weekend ahead. Two more weeks, and I’ll be breathing in deep, care-free, lung-ful of air …. *More on Nam Heong coffee shop HERE. Was in Ipoh for a few hours yesterday. Wow what a change after 1 & 1/2 years of not being home! And I saw Kinta Heights from afar! I wouldn’t have guessed the first photo was of the iconic flats if I had not seen it for myself. But the small garden/park in front of the Ipoh Railway station is gone. Just the forlorn & lonely Ipoh tree left, surrounded by concrete pavements. Somehow I noticed less trees now & where those trees stood are now replaced with buildings. And oh my, the glut of hotels! The city must be doing well with travellers. Good news, huh? Anyway, I’m sure your blog helped no less in increasing human traffic to our graceful hometown. ???? Ipoh is a lovely town indeed. Btw, nice photos! I did some photo shoot at Georgetown too recently.